Angular developers looking to upgrade their codebase from AngularJS to Angular (v2+) will probably use a hybrid approach via the UpgradeModule and migrate their code over time. During this process you'll probably need to inject and re-use one of your existing AngularJS services in an Angular component or provider. You may also need an existing built in AngularJS service (i.e. $routeParams, $location, etc.). This isn't difficult to do, and the steps are below. In your Angular app module, use an Angular factory provider that will request the service from the AngularJS $injector. Using @Inject you will be able to inject your upgraded service for use in an Angular component or provider. It's advisable to create a separate factory so it is easier to reference and then upon full migration of code easily delete as well. One note that can be the Achilles heel of this method - it requires the ability to be able to ES6 style import your external module. If your legacy AngularJS code is sill using internal modules and not external modules, this will not be possible as using an old style internal module reference in Angular will not work. So if your entire app is already using external modules you can set up your own factory as shown below. Now it can be registered in the app module via the exported provider created above. In the Angular component or provider where injected, you can just import the service and use directly in the constructor. The advantage of the above method is now upon injecting, you don't have to use the string handle and will get proper type checking. You have not accepted the license agreements of the following SDK components: [Android SDK Platform 26]. 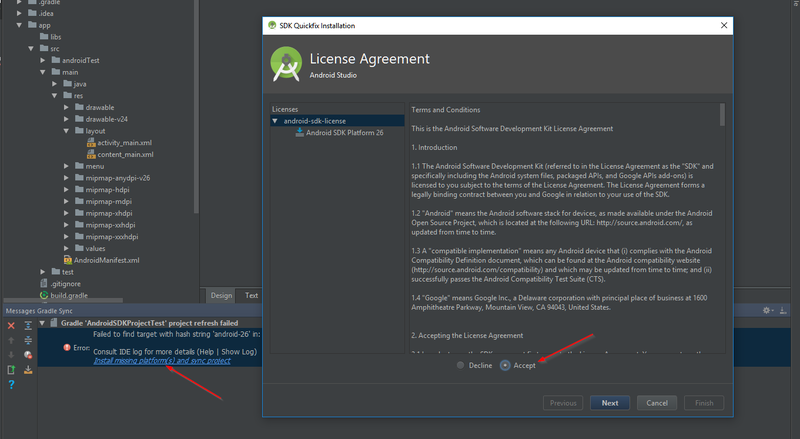 Before building your project, you need to accept the license agreements and complete the installation of the missing components using the Android Studio SDK Manager. After I did the steps above, I was able to go back to Visual Studio Code and run my Cordova application using the Android emulator. Upon building any type of Angular application, you'll eventually need to make a HTTP call and will do this inside of a Provider. The following code illustrates a barebones use of the Http service in Angular for making a call and mapping the response to an Observable. However, notice the inconsistency in the import statements. Can't we just import using the following ES6 syntax for everything? The RxJS documentation eludes to this process, and what we are doing is patching the Observable's prototype under the covers. If you want to see this in action, manually navigate to the map.js file located in the 'rxjs/add/operator/map' directory within 'node_modules' (or via GitHub), and take a look at the code. I like this for consistency, but there is a difference in the (2) different styles of importing. The module import and patching of Observable is actually better for size-sensitive bundling needs. You just need to make sure you import all needed methods before they are used. Importing and calling the methods directly safeguards against calling methods that haven't been patched, but at the cost of additional code resulting in a larger bundle size. This was also possible in the predecessor to Azure Mobile Apps, named Azure Mobile Services. The 'master' and 'application' keys were readily available from the Azure dashboard. 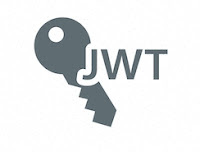 The server receiving the JWT could use the 'master' key and check if the JWT being sent was issued using the identical key. If it was then that is an indicator that the call is properly authenticated. If you want to use JWT Bearer Authentication on the server, you'll need to configure its settings to contain the Signing Key used to generate the JWT passed back to the authenticated client from Azure. This way you can validate calls on the server and that the user was truly authenticated via your Azure Mobile App instance. The nice thing about JSON Web Tokens is they are structured to contain known information (claims) including being able to verify the signing value used and if it matches. The signing value will be associated with that key that is used for your Azure Mobile Apps instance. Grab it and save for use in the next step. 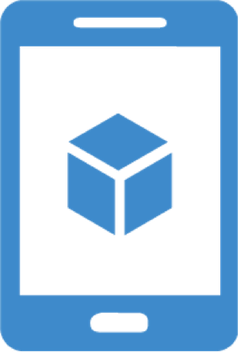 Add the JWT configuration, and replace the value in the instantiation of SymmetricSecurityKey with the value from your Azure instance we extracted above in Step #1. All of this configuration and setting of the various properties is up to you. At a minimum though I'd recommend making sure that the key was issued from the correct domain, not expired, and signed with the proper key. The key will need to be extracted from its hex value, so the helper is included. // The signing key must match! Add the usual Authorize attribute to the API controllers where authentication needs to be enabled. 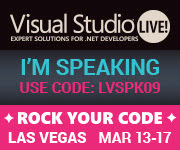 You can also save $500 of the 5-day all-access Best Value Conference Package in Las Vegas (March 13-17) by using my speaker savings code of LVSPK09 when registering for the event. Just use the following link or click the image below.